Facebook recently (December 2017) changed their API. They changed some rules related to installation of custom apps on fanpages. Now, as a fanpage owner you can install app on your fanpage only if it has at least 2000 fans (likes). While these rules are not necessarily bad changes, they kind of put the small start up store on a budget in an unfavourable position. Unfortunately, just as a developer, we don't have much control over this and have to obey the rules. 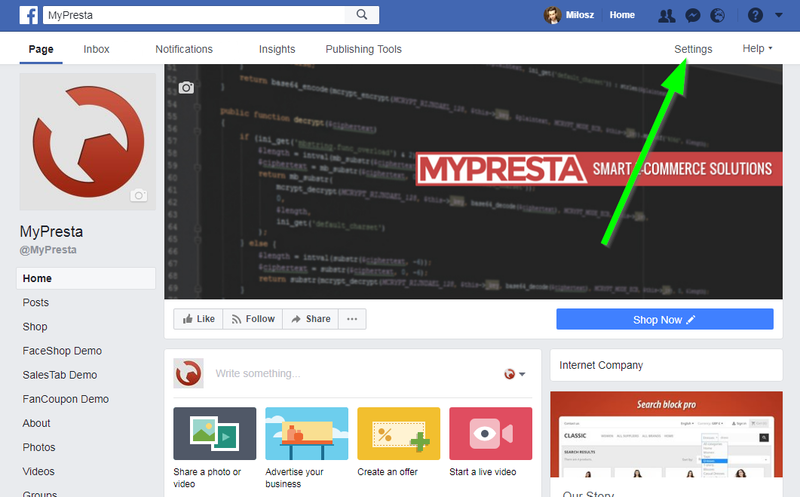 Fortunately as a prestashop facebook shop app developers we have possibility to install it on your fanpage. This tutorial is also applicable for "facebook fan coupon" app. This you still can have "shop" tab on your fanpage. Facebook started an app whitelisting program - please mind that we are already working shoulder to shoulder with Facebook in order to whitelist Facebook Shop. However, steps described below are the fastest solution we can provide in order to keep your Facebook sales going. Go to your Facebook Business Fanpage and click on "settings" button available in page navigation menu, as you can see on the screenshot below. You will be redirected to management page of your business profile. 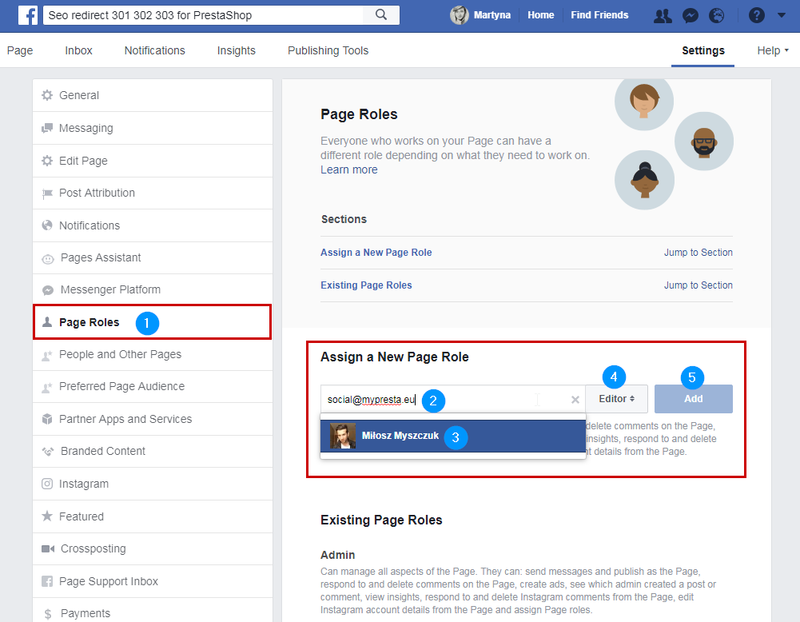 Make sure that selected role type is "Editor"
After this Facebook will send me notification that you want to grant me a role to manage your fanpage. I will accept this and immediately install it on your fanpage. Please keep in mind that it can take up to several hours if I will be offline.